Kathleen Blanco And The Katrina Blame Game. On top of the sheer devastation and loss of life, the first few weeks following one of this country’s worst catastrophes saw ugly battles between state and federal government, between democrats and republicans, and between a woman in the governor’s mansion and the men in the white house. All of which was put on display by a frenzied media caught up in the spectacle. How did Louisiana’s first female governor fare in that glaring national spotlight? And what does she think about this experience, all these years later? Listen to Episode 1 of Sticky Wicket about former Louisiana Governor Huey Long. 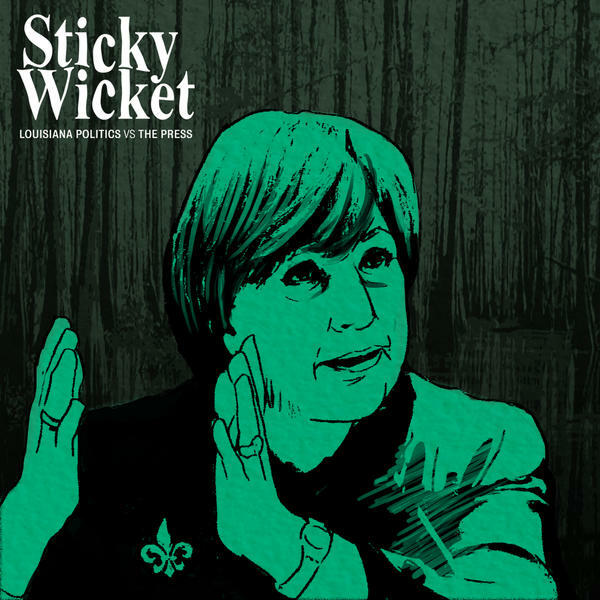 Listen to Episode 2 of Sticky Wicket about former New Orleans District Attorney Jim Garrison. Read Jeremy Alford's article on Blanco in 64 Parishes Magazine. Louisiana Cultural Vistas Magazine is traveling the state asking former governors for a job description. Kathleen Blanco was the first woman elected governor in Louisiana, but she wasn't always interested in politics. Ten years ago today, the second of 2005’s hurricane one-two punches hit southwest Louisiana. “Hurricane Rita is aiming at Louisiana. It will impact much of the coastline from the Texas border over to St. Mary Parish,” then-Governor Kathleen Blanco warned the day before landfall.